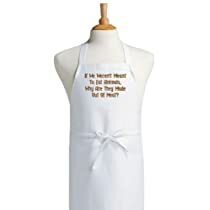 Is it just me or are men really difficult to buy presents for. 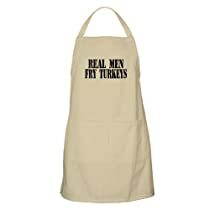 To solve this problem one great gift idea for Christmas or a birthday for a man that enjoys cooking is a funny apron. 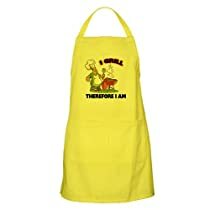 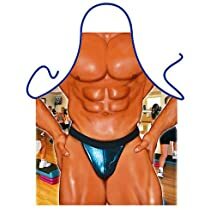 There are many different types of funny apron, from muscle man designs to funny savings or even naughty aprons if you know the recipient has a sense of humor. 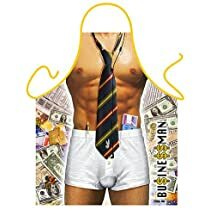 One of my favorite novelty aprons is the one pictured here of a half naked man wearing a Scottish tartan kilt outfit. 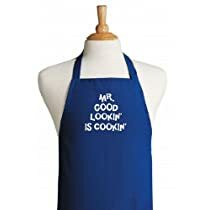 I especially like this as my Husband is Scottish, I would buy this for him but he just doesn’t ever cook! 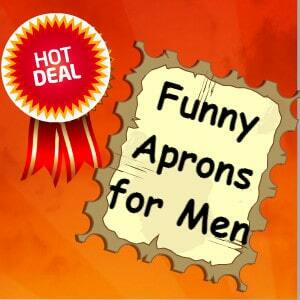 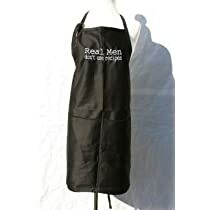 Novelty Aprons for Men: Create a stir by buying a novelty apron for the man in your life. 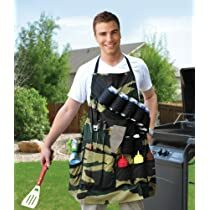 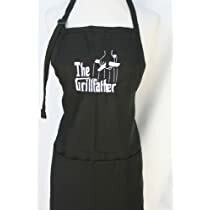 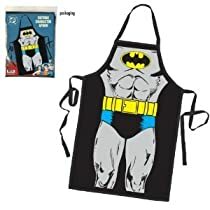 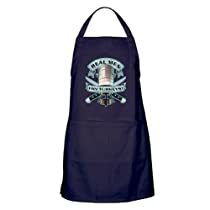 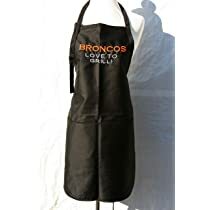 I particularly like the Batman apron, but I think my favorite has to be the Grill Master apron which has all the pockets for beer, BBQ sauces and grilling utensils. 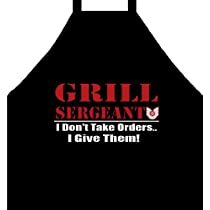 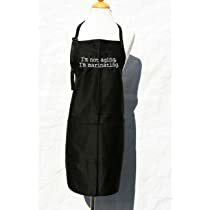 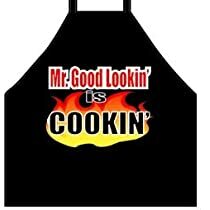 Funny Sayings Aprons for Men: I’ve selected a few of my favorite men’s aprons with pithy sayings on them. 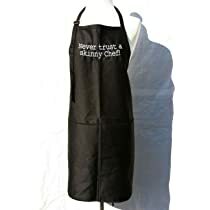 I like “real men don’t use recipes” and “I’m not aging I’m marinating” or even buy nolvadex from uk better “never trust a skinny cook”. 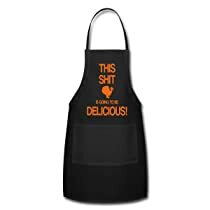 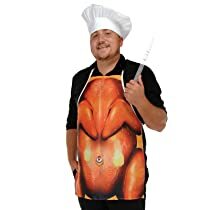 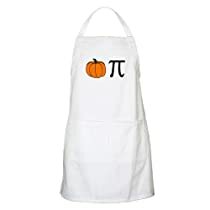 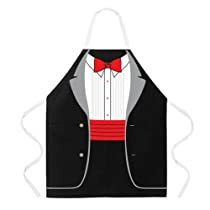 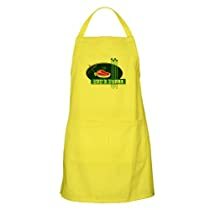 Thanksgiving Aprons for Men: If the man in your life insists on cooking the Thanksgiving meal then why not have a laugh and give him a novelty thanksgiving themed apron. 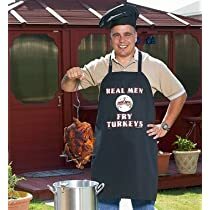 I love the amusing aprons with macho messages like “Real Men Fry Turkeys”.